Full membership entitles you to play at The Wilmslow Golf Club at any time. Members are also entitled to introduce up to three guests at a reduced rate per round. In addition, Full Members enjoy exclusive use of the Player Performance Centre and associated practice facilities. The Performance Centre offers the very best in golf coaching and practice facilities and The Wilmslow Golf Club understands how important it is to have the ability to practice all year round. Full Membership is available for Ladies and Gentlemen upon successful application. Applicants require a Proposer and a Seconder, who are Full Members of The Wilmslow Golf Club for a minimum period of three years. If you are new to the area or simply do not know any members at the Club we also have a category of membership “Introductory 6 month” for individuals, who would like to join but do not have the requisite members to be Proposer & Seconder. This category lasts for a period of six months during which time the individual is encouraged to compete and develop sufficient support for an application for Full membership at the end of the six months. There is no restriction on playing in competitions but unfortunately a win for a Board Completion is not recognised. Regular Men’s comps every Saturday, with Members' Roll ups Tuesday & Thursday morning & afternoon, Social Mixed 9 holes & supper every month through the summer. The remaining 90% Entry Fee is paid in full at time of election to Full membership. The annual subscription will be Pro Rata at time of election to Full membership. We are offering six month introductory membership packages to Ladies, from April to September 2019. This is an opportunity for beginners or relatively new players to become a member of one of Cheshire’s finest golf clubs. Taster days have been arranged for Thursday 7th March and Saturday 9th March from 10:00-11:00, for you to come and try the facilities and find out if this new introductory membership scheme will suit you. ​6 months introductory Membership, from 1st April to 30th September. ​6 group lessons with our award winning professional, Matthew Gillingham and his team. ​Access to the course during the lessons and afterwards with a mentor. ​Practice on the nine hole putting green and chipping area. 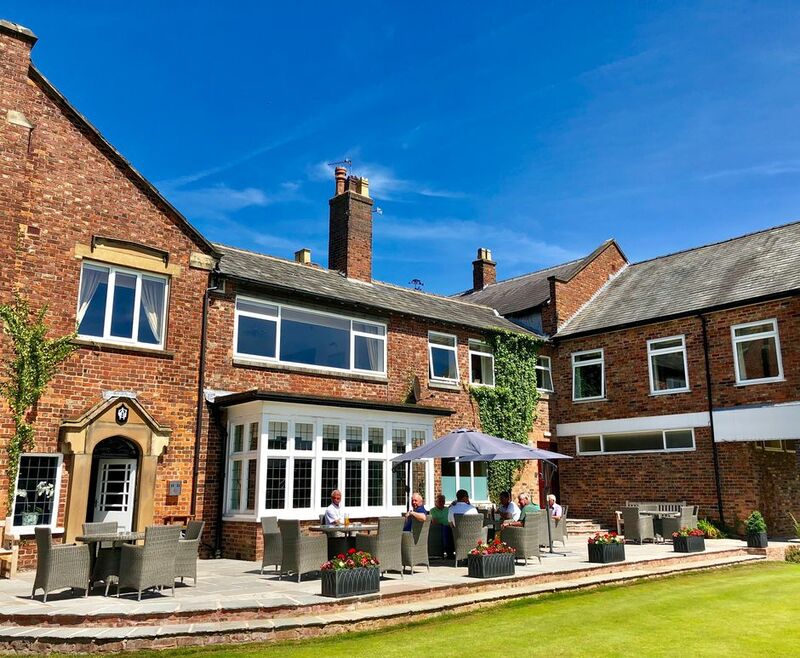 ​Introduction to the social side of Wilmslow Golf Club in our comfortable clubhouse, with excellent catering and friendly staff. Ladies Introductory Membership costs £495.